The Magog House on Dufferin St., facing the corner of Bank and Dufferin St., was built in 1836, then rebuilt with red brick, the typical building trend at the end of the 19th century and the early 20th century in the Eastern Townships. Photo: circa 1902 (postcard). Starting in 1836, the building was used as a road-house for the diligences. Even alcohol is served there, which was pretty rare back in the days. Several businesses settled there over time, among which the mythical Magog House hotel, bars, restaurants, studios, art galleries… and a small centennial barbering establishment. The community radio CFLX was also located on the last floor for several years. 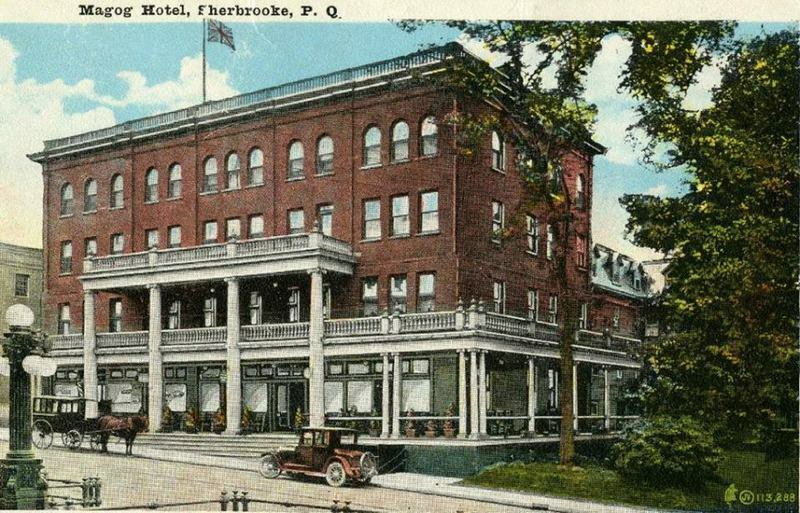 Several personalities stayed there in the first half of the 20th century, like the politician Maurice Duplessis in 1935. 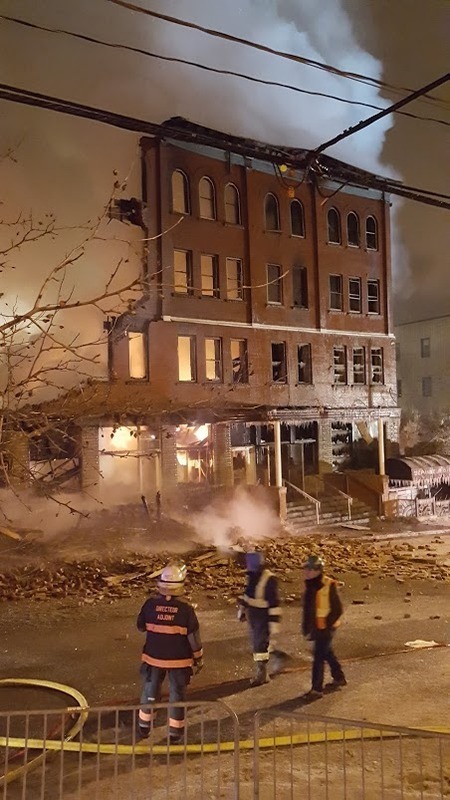 On December 20th, 2017, the Magog building suffered the same fate as several former large hotels in historical downtown Sherbrooke, all destroyed by fire over time. This is the place, at the Magog House, where the first deals in order to create Maurice Duplessis’s Union Nationale Party took place, during his visit in 1935. 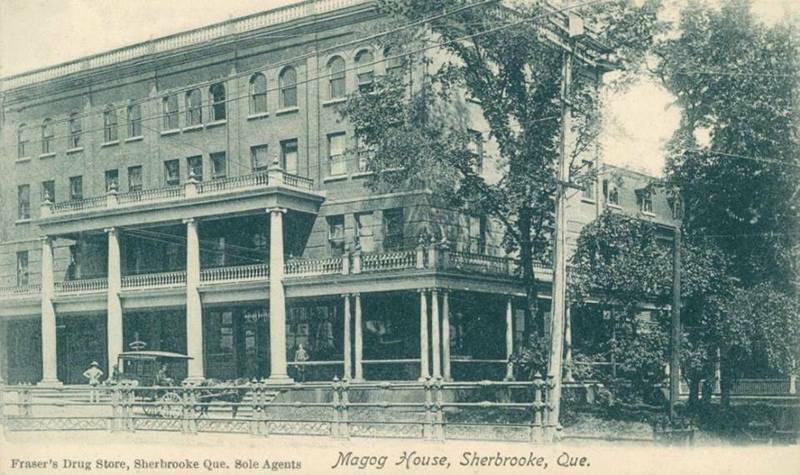 This photo of the best years of the Magog House dates from 1926 (postcard). The intervention of 65 firefighters was required. The intervention of 65 firefighters was required. 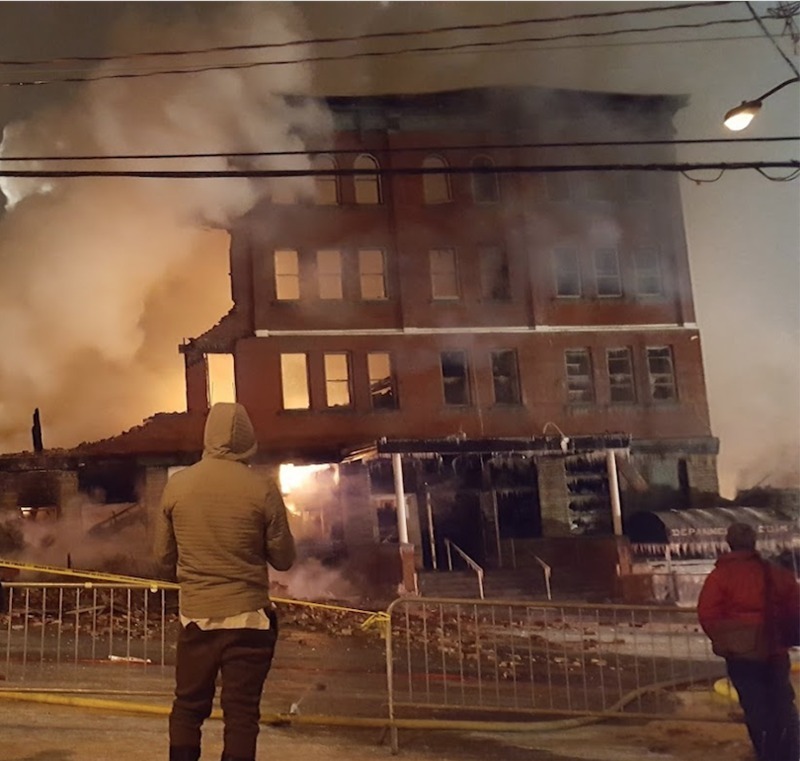 The firemen had to destroy the heritage building for security reasons. 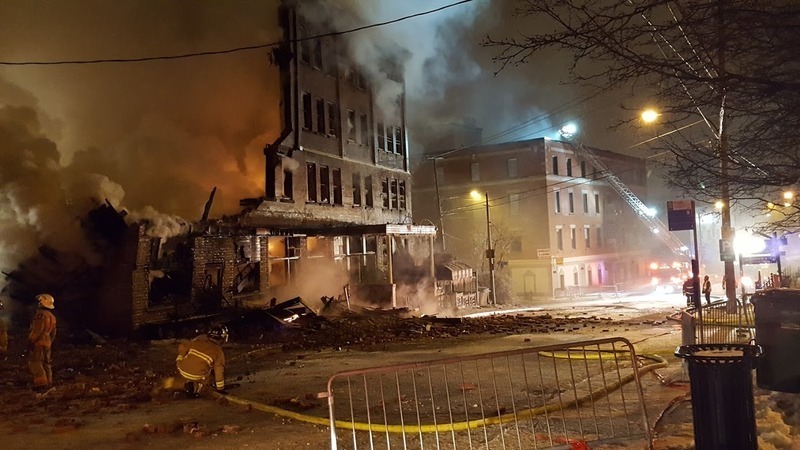 Considered a total loss and dangerous, demolition work of the building is undertaken without delay. Photo taken at 8pm on the same day.